Water: Drought tolerant once established. Intolerant of wet soils. Soil : Well-drained. Tolerant of a wide variety of soils. Comments: Best to plant where it can spread out. 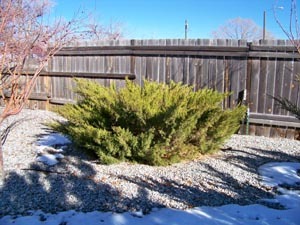 Often planted too close to houses or other objects and then need to be severely pruned. Tolerant of air pollutants. Known Locations: Many around Alamosa.